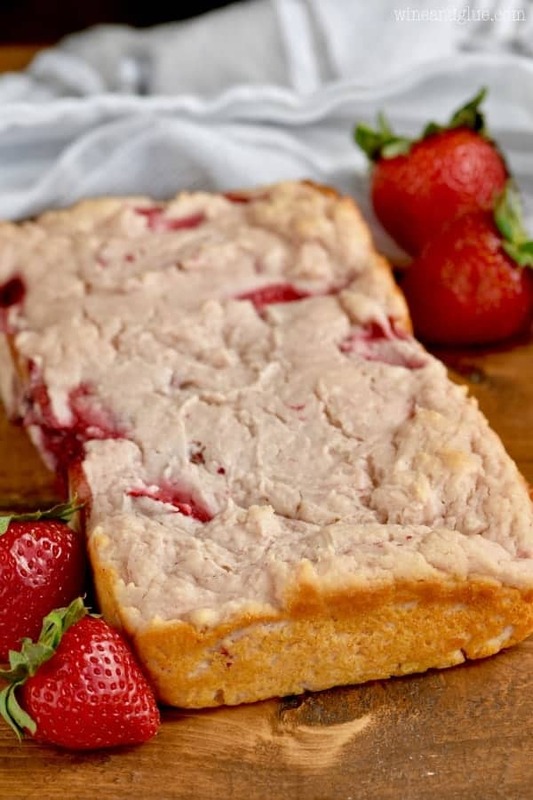 This Three Ingredient Yogurt Bread is so easy to whip up that the kids can do it! You guys. Summer has me hanging on to my sanity like by threads. THREADS. I think I can speak for all of mother-kind when I say that being at home with kids who are used to having their entire days planned out for them (geez, thanks a lot school!) is no joke. And then, for me, add to that the fact that I am working a full time job while they are home, and it is no wonder that like the sands of time, my sanity is slowly slipping away. Dear park: Thanks a lot for helping my kid guilt me. Go jump off a cliff. I posted this picture on my personal Facebook page, and all the moms in my life went NUTS. They basically summed up what I was thinking: Isn’t the point of a park so that your kids have something fun to do that doesn’t involve you?? I mean, I’m not the most amazing mom in the world, but I’m okay. I read to them, play board games with them, talk to them. I can tell you the names of all their friends at school and who’s that kid that they struggle with. 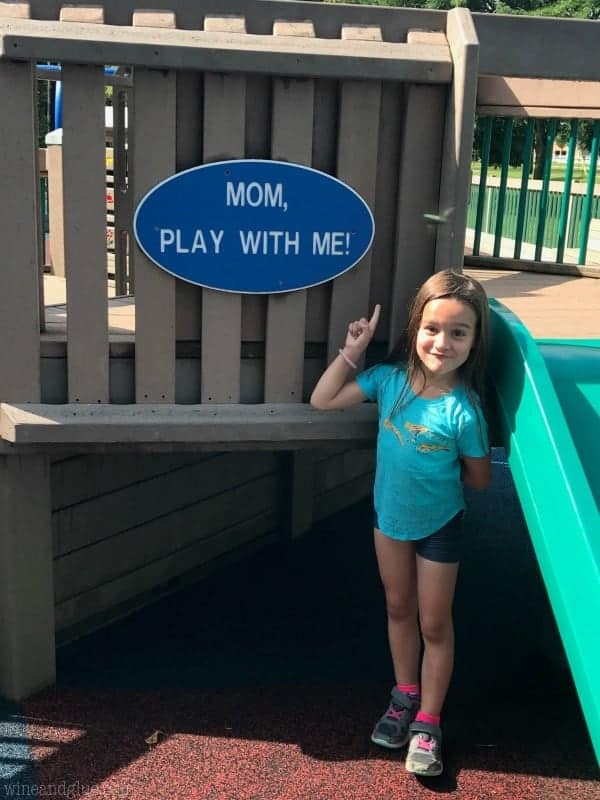 But I’m sorry – I’m not going to play “family” with my kid at a park . . . BECAUSE THAT’S ACTUALLY MY LIFE. I have to say that it was totally refreshing to have so many other moms in my life who felt the exact same way. Also, who taught my kid to read?? So when it comes to snacking, things need to be E-A-S-Y. Like ridiculously easy. 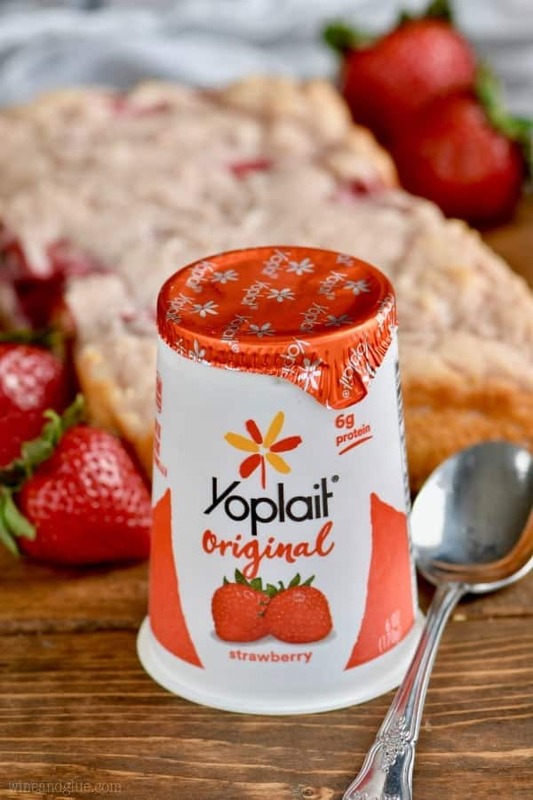 Yoplait is key when it comes to easy snacking. 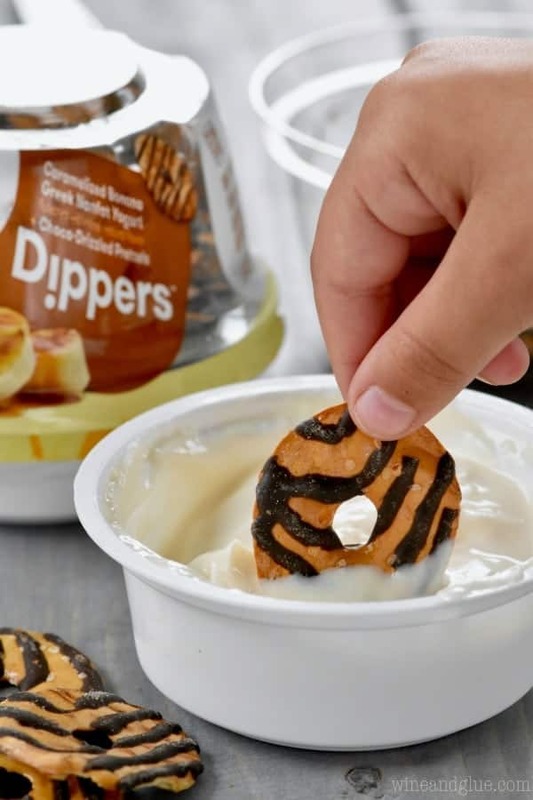 Have you tried their new Dippers? We are big fans. 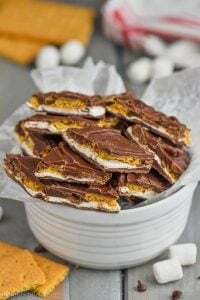 They feel like a treat, but they are totally a great snack to keep the kids going. And they are super easy to bring along to parks that will judge and shame you. We also love their Yoplait Original. It’s delicious and with 6 grams of protein, we love giving it to our kiddos for breakfast! But what’s even cooler is that with just a few other ingredients it can be turned into a bread. Nope. I’m not a wizard. Seriously, how cool is that?? 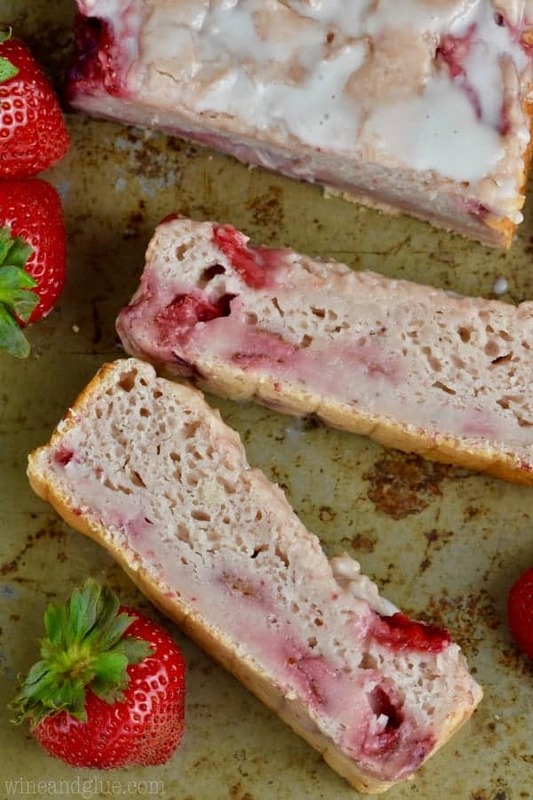 There is a recipe for an ice cream bread floating around the internet, and when I saw that, I was like, “Woah. I bet I can do that with yogurt!” I’m sure ya’ll can too. And it’s so easy, you can even have the kids help with it. 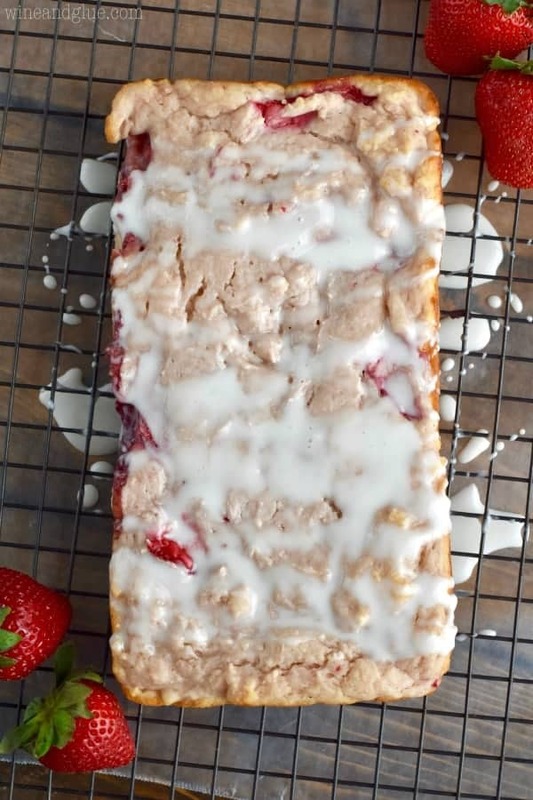 Combine the yogurt and flour in a large bowl and then stir in the strawberries. 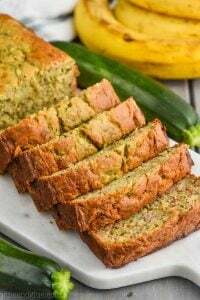 Bake for 40 to 45 minutes or until you are able to stick a toothpick in the middle and have it come out with no moist batter and the edges are golden brown. Allow the bread to cool in the pan for a few minutes and then remove to a cooling rack to allow it cool completely. Then whisk together the powdered sugar (if you wish to top it) and the milk, and drizzle over the bread. Seal in an air tight container and because of the strawberries, enjoy within two days. This sounds amazing!! Do you think I would be able to use Greek yogurt instead? 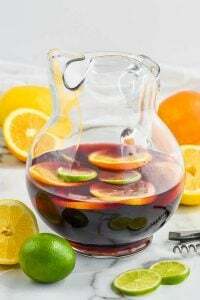 OMG this looks amazing!! Genius! Do you have any nutrition info? TIA! I don’t have the nutrition information, but I love using MyFitnessPal! You can just enter a website and it will give you the calorie breakdown. 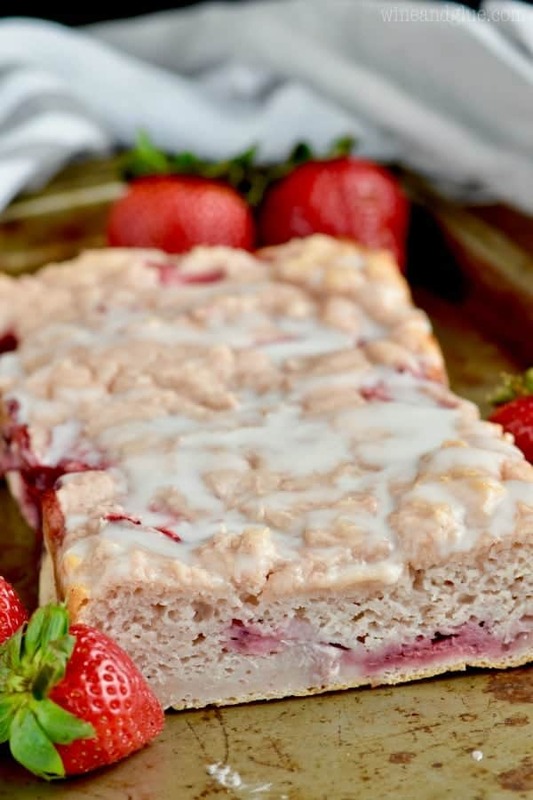 Love this yogurt bread! And, couldn’t agree more about the park sign. Sheesh, give us moms a break! 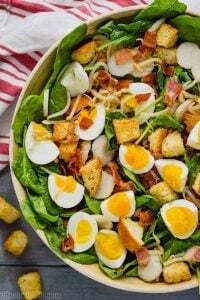 I love this recipe cause it is so easy and does not have a whole list of ingredients. either. What a great idea!